Feb. 25, 2014 | Welcome to Little Gull Marina! We hope everyone enjoyed family day weekend! It was great to see so many lights on and hope that some of you were able to take advantage of the free snowmobile trails and open fishing weekend. We apologize if we have been slow to answer emails over the past couple of days or if your emails have been bouncing back. Our website was down, and as a result so were emails, but we’re back up and running so feel free to get in touch and we’ll get back to you as soon as possible. 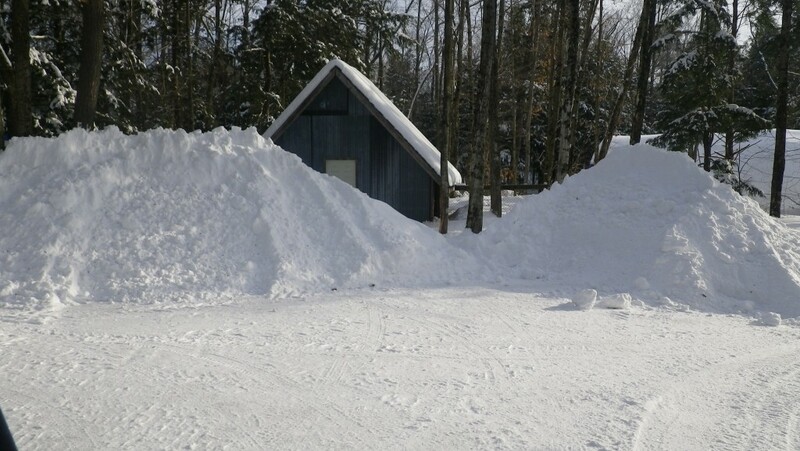 We’re still open from 9-4 every day while the snowmobile trails are open (which could be until May with all the snow we have!). It looks to be another promising winter weekend coming up with some snow maybe on Saturday but nice temperatures. We’ve been busy shoveling roofs off so if you are concerned and want us to take a look or arrange to have it cleaned off, give us a call or email. Also, keep an eye on the sales section as we’ll be posting lots of new listings over the next couple of weeks.